A great team of hygienists is at the center of excellent patient care at Yucca Valley Dental Group. We want to help you commit to whatever your specific needs require and help you maintain a high level of oral health. 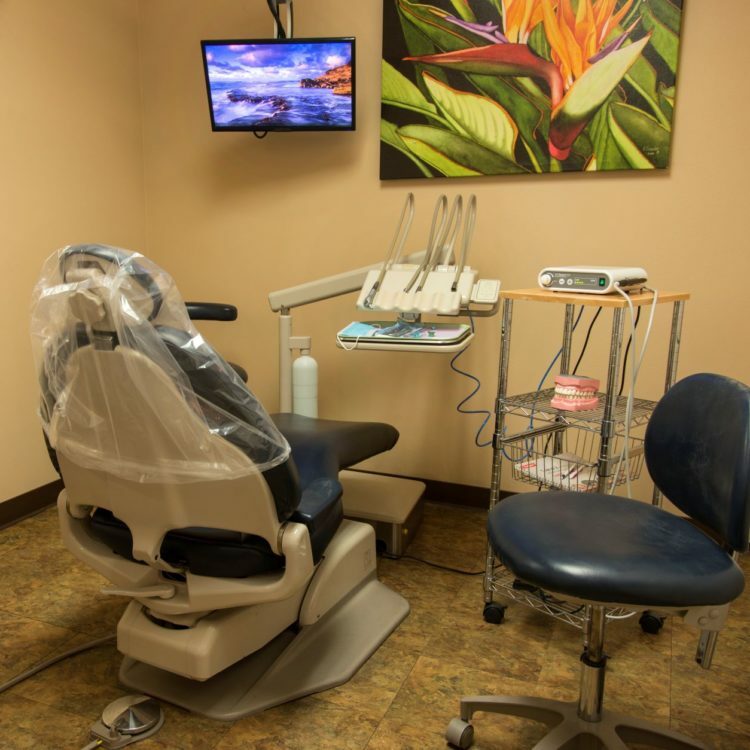 Yucca Valley Dental Group provides state of the art dental cleaning services. SCHEDULE AN APPOINTMENT FOR A RE'FRESH'ING CLEANING. A prophy is the basic ‘dental cleaning’ that we provide a healthy patient with when you come in for your regular maintenance visit. It covers light scaling of any plaque deposits that are at or above the gum line and a polish, so you look as fresh as you feel. Why do I need to be ‘perio probed’ and what do those numbers mean? Healthy patients are probed once per year to check for signs of the onset of periodontal disease. As we probe the hygienist will read out your numbers. Remember that 2s & 3s are healthy; 4s might need treatment; 5s and above are not so good. Perio Maintenance is required for patients with Perio Disease. It requires far more extensive scaling than a prophy as our hygienist must remove any plaque from the bottom of your pockets well below your gum line. Perio Maintenance visits always start with perio probing to check on the status of your disease. We will also suggest that you visit every 3 months as this is the time it takes for the bacteria to become fully entrenched and aggressive. If you can commit to the program outlined by your hygienist, then she can help keep your gums nice and healthy. What is the treatment for Perio Disease? That all depends on how early we diagnosed your disease and how aggressive the bacteria have been. You may just require a Therapeutic Cleaning followed by prophy care. You may require SRPs (Deep Cleaning) and that would be followed by Perio Maintenance. Will I get the cleaning covered by my insurance? Yes, if you are healthy that will be a simple prophy. If you have signs of perio disease we will need to treat that first and if all goes well, you’ll then require perio maintenance. We understand that life often gets in the way of your plans. We aren’t going to charge you for not seeing you. But, we do call to confirm your appointment and it really helps us a great deal if you respond so that we know you haven’t forgotten us. We spend a lot of time working to help keep our patients committed to regular maintenance. We are healthcare professionals and care about health, and we really appreciate it when you help with this.